Extraordinary Dogs: Taking or leaving your dog on holiday? Taking or leaving your dog on holiday? 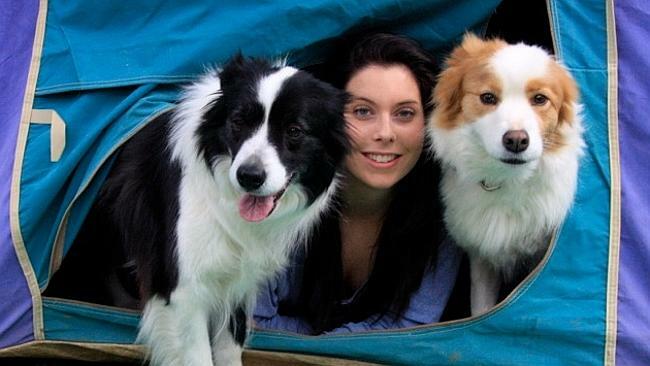 Many Australians love to travel and many of these love to have their dogs accompany them. Why leave that very important member of the family behind? If you have dog and want to travel in Australia then PetPlaces is a great resource for all dog lovers. Learn from other dog owners travel experiences and get useful recommendations by checking out their comments at this helpful website. PetPlaces objective is to help make travelling with pets easier and enjoyable by being a source of helpful information, providing a meeting point where like-minded people can exchange knowledge and experience thereby ensuring others enjoy their holidays with their pets all that more. It offers a range of useful services for you and your four-legged friend. Travelling with your dog? Sadly they can't go everywhere with you. Find a sitter nearby for a few hours or days while you be the tourist, or, become a sitter yourself! Leaving your dog behind when you go away? Dog owners getting together to help one another with dog minding or dog sitting. Source dog friendly holiday accommodation for you and your pooch in Australia. Are you taking or leaving your dog when you travel? Registering with PetPlaces can help you solve this dilemma. Possibilities are endless for sharing and caring for homes and pets between members. I particularly like this website because it offers a special free service for the elderly and incapacitated in time of need. There are many older people in our society who live alone with their beloved pets. If they fall ill, are bedridden or need to go into hospital for a period of time, many have the additional worry about looking after their best friends. What great peace of mind for them if they knew that their "darlings" were being looked after by other local pet-lovers; with a PetPlace registered "Local Mates". Become a "Pet-Minder to help the elderly and incapacitated" by registering your services with PetPlaces.